How Much Does Accurate Ranging Matter? How Much Does It Matter? 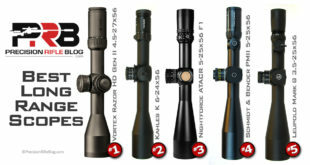 Home / Rifles / Suppressors & Muzzle Brakes / CAST YOUR VOTE: What’s most important about a muzzle brake? 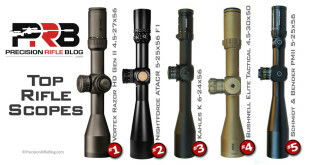 CAST YOUR VOTE: What’s most important about a muzzle brake? I’m working on the overall results for the muzzle brake test, and I need some help from you guys! 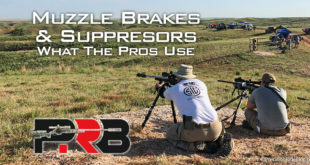 Please take the short poll below to let me know what the most important aspects are about a muzzle brakes performance. PLEASE put some thought into this, and don’t just say that all the aspects are “VERY Important” … that isn’t helpful. 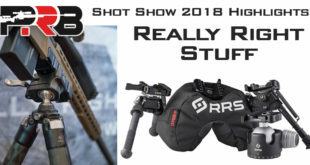 © Copyright 2019 PrecisionRifleBlog.com, All Rights Reserved. 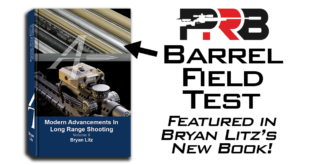 Cal Zant is the shooter/author behind PrecisionRifleBlog.com. Cal is a life-long learner, and loves to help others get into this sport he's so passionate about. Cal has an engineering background, unique data-driven approach, and the ability to present technical information in an unbiased and straight-forward fashion. 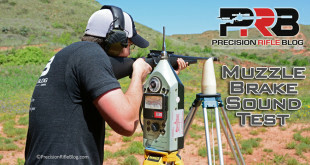 For more info, check out PrecisionRifleBlog.com/About. Follow up shots is the main purpose in combat, the less muzzle rise the better. That’s why I have a Lantac Dragon 5.56 on my LWRC IC. I shoot 300 wm, and the most important thing for me in a brake is the muzzle rise, or the ability to take rapid followup shots. Thanks for your amazing blog! The most important features in a muzzle brake for me are muzzle rise and the ability to stay on target. Thank you for the great research and testing. 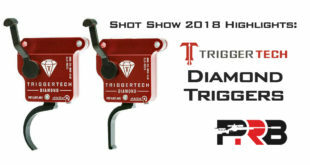 Recoil reduction and being able to spot my own hits …..primary. Happy with just that but want it all…. less noise and dirt if prone also. Thanks for what ya do Sir. Regards from Panhandle. Stay Safe !! Recoil reduction is important on my larger calibers. It reduces shot to shot fatigue after firing long consecutive strings. Whilst this can be managed (mostly) by increasing the mass of the rifle, this isn’t always desirable (someone has to carry the dang thing). Try shooting a 300WM that weighs 3.8kg (8.3lbs) all up without a brake, off a bench or prone. It’s punishing. With a brake, you can shoot it all day with no more fatigue than using an unbraked 243W. On the smaller calibres, it’s more about staying on target and being able to perform fast follow up shots. 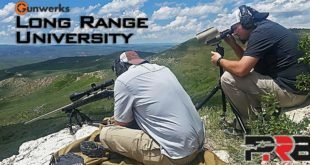 This applies to the larger calibres as well, especially at long distances, where you can spot your own shot fall and adjust without the need of a dedicated spotter. I’m not concerned about noise. If you shoot and are in the vicinity of firearms, you should wear appropriate hearing protection at all times. Yes, a supersonic shockwave to the face can be awful, but I actually enjoy it. It reminds me that what we are doing isn’t a game. I used to hate it and I know it can be dangerous (with jacket separation at the worst end of the spectrum and particles ejected at high speed at the somewhat lesser end of the spectrum), but it adds a certain visceral element to the sport. With all this in mind, appropriate clothing, footwear and eye protection should also be worn. 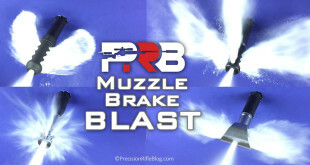 Not just because of muzzle brakes, but because we are using firearms. The dirt signature issues is pretty important if you shoot off the ground or even off surfaces that you don’t want to damage (a bonnet of a car). There are few things more annoying than a face full of sticks and dirt after a shot. Then it doesn’t matter if the recoil and muzzle jump are reduced such that you can remain on target for a fast follow up shot. You’re probably going to be too busy clearing all the crap from your face. If you shoot offhand or off sticks/tripod, etc, this is less of an issue. 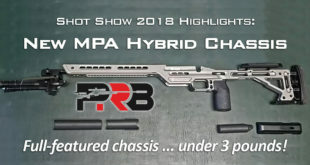 It would be nice to find a brake that was both extremely effective at reducing recoil, staying on target and not kicking up dirt and that could be mounted and dismounted with ease (and perfect lockup/timing when mounted) without tools, with no POI shift. Yes I am aware that I can get zeros for my rifles with and without a brake, but mounting them and dismounting them can introduce subtle (and not so subtle) POI shifts for both conditions. Wow! Very thoughtful feedback. I think you’re spot on. I don’t think I could have articulated my own thoughts better than what you did. Thanks for chiming in. With regard to sound (with and without a brake), did you do any testing to see what the brakes impact on sound is from the front of the barrel, the target’s perspective? I’ve got no idea. I bet a little of both, but I’m not sure. Cal, I read all of your muzzle brake statistics as you were working on them. I watched as you tried all of them and your information was very well done. As you put out the varying pros and cons about them, i was impressed at the testing you did. I haven’t been shooting long range very long and i have a 700 Remington Varmint Stock 308 caliber with a 26 in barrel. I have a Jerry Miculek compensator on my rifle and it seems to work very well. It wasn’t one that you tested. I have been to many matches and some of the ones you tested are being used. Some of those you tested are so loud and blow dirt and stuff everywhere. 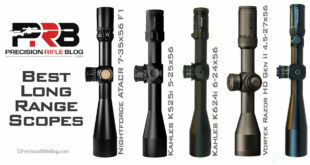 There are a couple that you had on your top list that i might try on my next rifle a 6XC and see how they do. Thanks for all the work you put into this, it really helps us shooters. You bet! Wish I would’ve included the Miculek brake. I’m sure I’ll come back around and do this again at some point, and I’ll likely let my readers vote on what’s included. I bet the Miculek makes it. One thing that you forgot in the poll was potential fire risk with muzzle brakes, particularly when shooting from scrub cover; and importance thereof. I guess I’ve never experienced that. Just haven’t found it to be a problem, personally. Neither have I, but I have seen at least one report of flash hiders setting vegetation on fire during combat; and more than one gun writer, according to my recollection, has commented on the potential for a muzzle brake to cause a fire. Yeah, I’m with you. It’s plausible. I just haven’t experienced. I’m sure if you fire enough rounds you might. It’s a good point. 1: If you are getting enough flame out the end of the barrel for this to be an issue, then you need to use a better propellant choice (faster burning) for your rifle/barrel length/projectile. c: don’t shoot because it is dangerous to do so. It’s part of being a responsible shooter. Use your tools effectively and safely. There will however, always be irresponsible shooters and …. you can tell when a commercial reloader has pulled bullets from hot machine gun loads and replaced them with medium weight conventional sporting bullets. An acquaintance of mine bought some 6.5×55 SE ammunition which was surplus military, reloaded with sporting bullets and obviously the original propellant. Every time he fired it in his Sako with standard 23-24 inch barrel, there would be a visible flame, approximately ten (10) inches long. I was a part-time military engineer for 12 years and ran a small club range complex for 14 years, so have seen, heard and read a bit ( including some matters that are not appropriate for general discussion) over the years. I don’t think guys reading this website are the same guys that buy reloaded military surplus ammo from a questionable supplier. I’ve never been tempted to stop at that booth at the local gun show. I appreciate the caution, but this is a precision rifle crowd, so I bet it’s not applicable. dependent on whether the propellant is slower than theoretically ideal, theoretically ideal OR theoretically ideal and formulated to a military law-flash specification. The last appears to be one of the main reasons why propellant suppliers such as ADI tend to describe some of their products as ‘similar’, rather than identical, to their military propellants. Should have been low flash, not law flash. Using my iPad. Lease correct tie me. Great in sight on the breaks. Keeping up the great work. I have been an avid follower of your , unbiased data driven blog . Keep up the great work , I find it very easy to digest and very informative. Thanks, Corey. Glad you’re finding the content helpful. I don’t have any plans to test ear protection in the near future. I personally use the very popular Howard Leight Impact Sport Electronic Ear Muffs, along with the Surefire Sonic Defender Ear Plugs. That seems to be what I see a lot of guys use. Great products that won’t cost you a fortune. The plugs have a 24 dB Noise Reduction Rating (NRR), and muffs are 22 dB. So that’s a combined reduction of 46 dB. I’m not sure if you can add them directly like that, but I’d bet you had close to 40 dB of protection … which gets you safely under that 140 dB make. I know that’s probably not what you were looking for, but I hope it helps some at least. Thank you for your work on recoil reduction and the sonic blast from muzzle brakes. For most of us there is little chance to try out the various brakes. I am primarily a hunter who goes to the range to insure that I am a competent shot when I send a bullet down range at my intended target. I have been assaulted by excessive back blast as well as incredible sonic blasts from several muzzle brakes that others are using. I always wear ear plugs and muffs but have had my ears ringing after the muzzle blasts from some high powered rifles. The actual over pressure that slaps your body from some of these muzzle brakes is also not conducive to having an enjoyable time at the range. I hunt quite often with a partner and we help each other out with spotting and calling in game. I want to know that I am not subjecting my partner to an assault from my muzzle brake. Your article has helped me to determine which brake I am putting on my custom build. Thanks again for your work. You bet, Chris. I’m just trying to provide the data to help guys like you (and me too) make informed decisions. I’m a hunter at heart, and that’s how I got into this whole thing in the first place! I just wanted to become a better shooter to increase my ethical range as a hunter … It’s grown from there. Been a fun ride! Glad you found this stuff helpful! 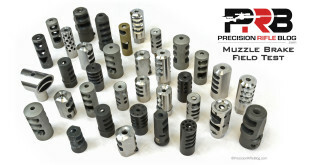 Noise should not be a factor when choosing a muzzle brake. I appreciate the opinion, but not everyone shares it. I personally think it’s low, low priority, but I also don’t want to subject myself to more noise than I have to. I don’t love having to double-up on hearing protection, so if all things are equal … I prefer a quieter brake. It is low priority, but that’s like saying rifle weight doesn’t matter. It’s a low priority for me, but if I could get the same performance … I prefer a lighter gun. That means it carries some weight, even if it’s mostly overshadowed by the other aspects. I think the same is true for sound. Muzzle brake=loud noise. You can try and get around it but it’s not going to happen. 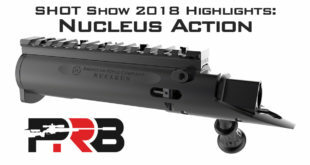 If you want quiet, muzzle brakes are not for you. Keep up the good work. I enjoy reading your stuff!!! My comments basically echo S. Budak’s above. Unless the caliber I am shooting is a larger, more punishing one, (which is another issue altogether), selecting a muzzle brake largely based on its recoil reduction is not important to me. For me, it’s accuracy first, closely followed by ability to stay on target shot-to-shot, (which arguably has at least something to do with recoil reduction), then followed by blast direction / signature. If your weapon is still aligned with the target following a shot but there is so much debris in your FOV as a result of a bad muzzle brake design that you can’t see it, you’re still in trouble. Noise has nothing to do with selection of a brake for me. You’d better be wearing hearing protection (and eye protection) when engaged in this sport or you get what you deserve, sadly. Just enter your email to receive notifications of new posts. 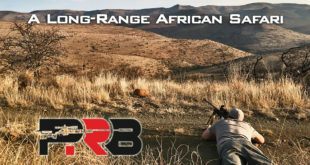 © Copyright 2019 PrecisionRifleBlog.com, All Rights Reserved. Unauthorized use and/or duplication of this content, data, or other materials is strictly prohibited without prior express and written permission from the author. 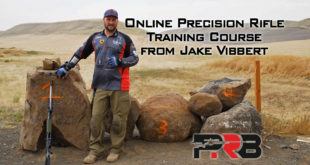 You may share excerpts up to 200 words, provided that full and clear credit is given to PrecisionRifleBlog.com with appropriate and specific direction back to the original content, including a direct link or full URL. Absolutely no photos, charts, illustrations, or other images or videos may be reproduced, distributed, transmitted, or referenced without prior express and written permission from the author. 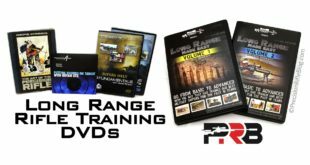 Disclaimer: Because this site and its affiliates have no control over the individual loading practices and/or components used, no responsibility is assumed by PrecisionRifleBlog.com or its affiliates in the use of this data. The information is to be used at the sole discretion of the user and the user assumes all risk. CAUTION: The author of this blog has not independently verified the accuracy of the data contained on this site. Failure to follow safe loading practices could result in severe personal injury (including death) or gun damage to the user or bystanders. Technical data and information contained herein are intended to provide information based upon the limited experience of individuals under specific conditions and circumstances. They do not detail the comprehensive training, procedures, techniques and safety precautions that are absolutely necessary to properly carry on similar activity. Always consult comprehensive reference manuals and bulletins for details of proper training requirements, procedures, techniques and safety precautions before attempting any similar activity. Be alert - publisher cannot be responsible for errors in published load data.